There are two ways of excluding returns in Return Magic, depending on what you would like to exclude. Excluding certain types of returns, because of return reasons or country of residence if you do not deal with international returns, for example, is made very easy through Return Magic. This can be done in your Settings where you are able to create a new rule. As long as you leave that rule empty, customers will not be able to return orders that fall under that category. If you would like to exclude all discounted items, you can create a rule according to discount value and leave that rule empty. Please note that this will only work if you use discount codes. If you use an external app to put items on sale, they may or may not use discount codes: you can check with them directly or ask us to reach out to them for you. If you do not use discount codes to put your items on sale (i.e. you mark down the price of items manually, you use scripts, etc. ), then you will need to use product tags to exclude those sale items from returns (see section below). If you want to exclude certain products in particular, you can also tag them as non-returnable. 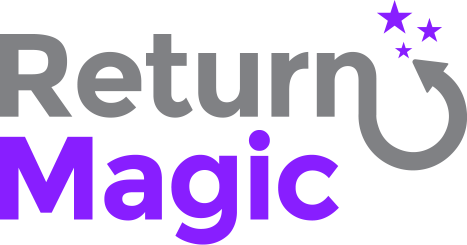 Return Magic uses product tags to mark specific products as non-returnable. By default, your shoppers won't be allowed to return any of the products tagged no-returns . You can change the list of product exclusion tags. Do tags support spaces or special characters? Product exclusion tags should be lowercase, short, and should not contain any spaces or special characters except - and _ .